Flawless. That’s how I’d describe the food at Le Bernardin. 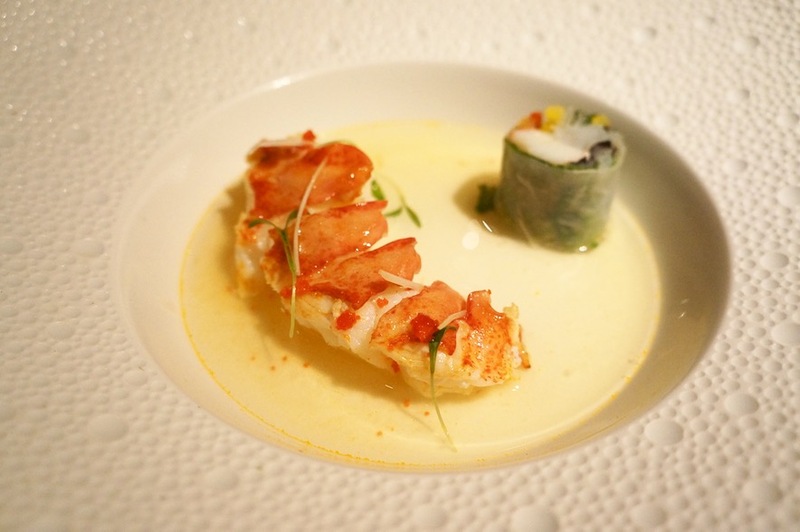 With a menu featuring impeccably cooked seafood paired with the most delicious sauces, the restaurant is so deserving of all its accolades including three Michelin stars and being named one of the World’s 50 Best Restaurants (#24 to be exact). Having said that, if you’re looking for an exciting and cutting-edge meal, you won’t find it here. 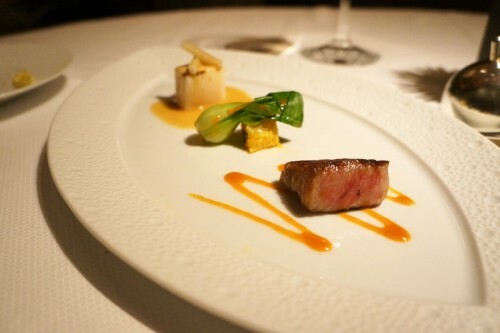 If that’s what you’re looking for, I’d recommend Chef’s Table at Brooklyn Fare or Eleven Madison Park. While the food here is excellent, it’s just not as exciting. Before I get to the food, here are a few tidbits about the history of this iconic restaurant. The beginning of Le Bernardin began back in 1972 in Paris by a brother and sister team, Maguy and Gilbert Le Coze. 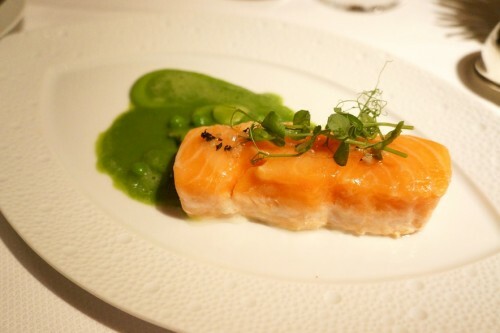 By 1980, the restaurant had earned two stars and in the mid 80’s, they opened Le Bernardin in New York. In the mid 90’s, Chef Eric Ripert took over the reins in the kitchen after the sudden passing of Gilbert. 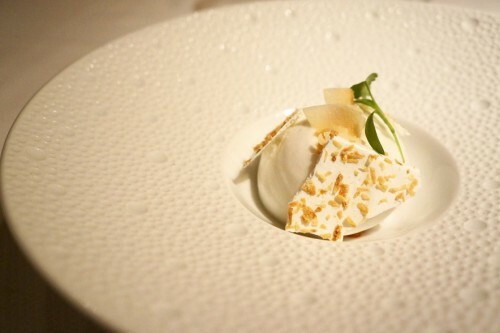 Chef Ripert, who was born in Antibes, earned four stars from the New York Times in 1995 at the young age of 29. Since then, it’s been reviewed several more times and is the only restaurant ever to maintain the highest four star rating for this amount of time without ever losing a star. Impressive, eh? Le Bernardin is open for lunch Monday to Friday and for dinner from Monday to Saturday. Reservations are accepted via phone and online through OpenTable. If you book by phone, an important thing to note is that reservations are accepted on the first day of each month for any day in the following month. If you book online, reservations can only be made 30 days in advance. I recommend booking as early as possible. I called at 9:30am (reservation lines open at 9am) on the first day we could book and the earliest Saturday dinner reservation I could get was 10:15pm. The restaurant is located in Midtown and is divided into two separate spaces – a large dining room and a lounge with a more reasonably priced (relatively) menu. Neither of the spaces felt stuffy and it was actually a lot louder than I expected. The restaurant was completely full and while the tables weren’t tightly packed, we could clearly hear what our neighbors were talking about which detracted from the experience. Like I said, the food was flawless. 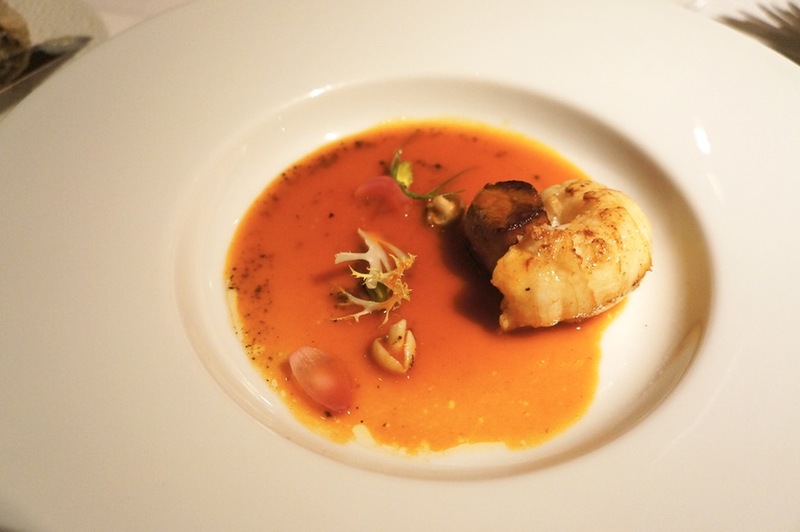 While each and every ingredient was perfectly cooked and executed, the highlight of each dish was definitely the accompanying sauce or broth. 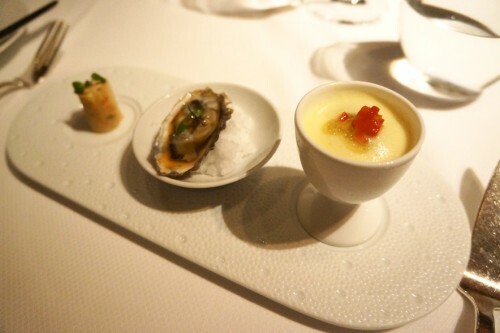 That’s what I love so much about French cuisine! 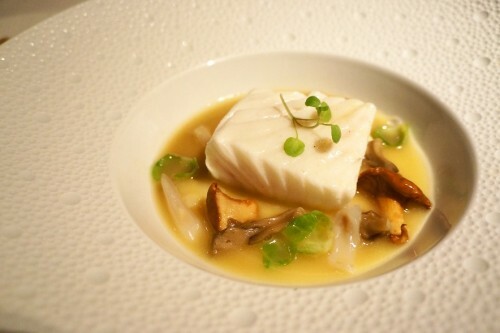 From the lemongrass consommé with the langoustine to the mushroom and clam broth with the halibut, each pairing was so well thought out with every ingredient on the plate serving a purpose. 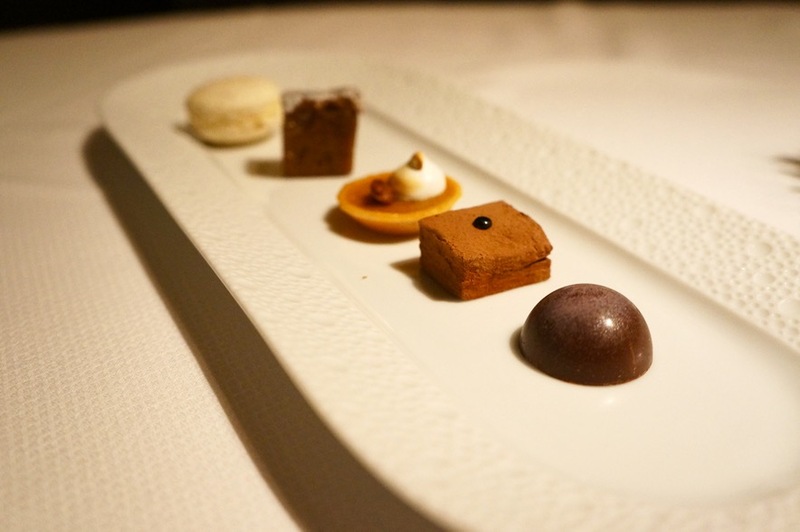 The desserts were also excellent. First up was the wonderfully light exotic fruit pavlova which was a nice palate cleanser before the black forest cake arrived. 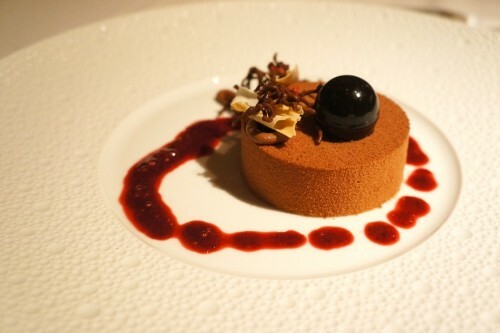 The black forest cake was a really great take on a classic dessert which had just the right amount of sweetness and had a very light and airy texture. The progression of the meal and amount of food was perfect. 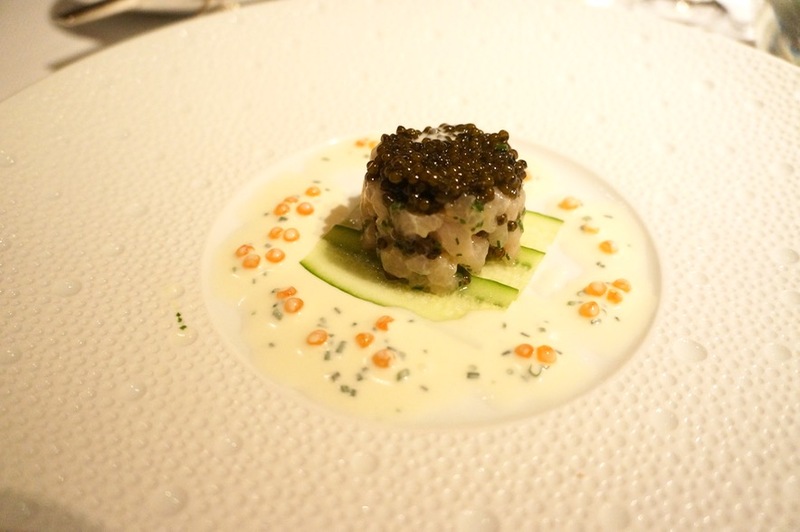 Needless to say, we had an incredible meal at Le Bernardin. The food and service here are both top notch. Sure, a meal here will put quite the dent in your wallet but rest assured, you’ll be in great hands!